Ice wine is a sweet dessert wine. 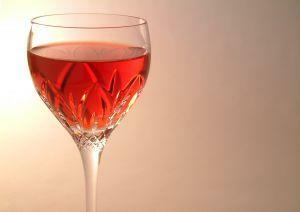 Many people, even those who do not traditionally enjoy wine, love sweet wine. Fermented in a way that enhances and highlights the wine's natural sugars, sweet wines pair well with desserts or finish a meal beautifully all by themselves. There are numerous types of sweet wine to try. Wines range in sweetness from slightly sweet to nearly cloying. Many of these wines are very popular, and several are quite affordable. Penfold's Club Tawny: This delicious, tawny Port-style wine is affordable at under $20 per bottle. A little goes a very long way. Expect to find flavors of caramel, toffee, and dried fruits in this delicious wine. Chateau Ste. Michelle Eroica Riesling Ice Wine: Early cold temperatures cause grapes to freeze on the vine, concentrating the sugars and making an extraordinary honeyed wine that serves as a dessert in its own right. Expect flavors of apricots and bright acidity in this delicious wine. Chateau Suduiraut Sauternes: This classic Sauternes wine from France makes the perfect pairing with crème brûlée. Chateau Suduiraut is one of Sauternes' consistently good producers. Flavors and aromas include pineapple and honey. Dr. Loosen Auslese or Spätlese Riesling: These wines are a revelation for many who have never had a German Riesling. Grapes are harvested at later stages of ripeness and thus have a higher residual sugar; however, the sweetness of these wines is balanced by near perfect acidity that comes from both the terroir and climate in Germany. Expect flavors of minerals, melons, and apples. Yalumba Museum Reserve 21 Year Old Antique Tawny: It may be 21 years old, but in this case age makes it better. This tawny Port-style wine is complex with overtones of toast, caramel, and vanilla. What determines a wine's sweetness? Wines can be dry, medium dry, medium, or sweet. Residual sugar determines this classification. During the fermentation process, yeast consumes sugar and converts it to alcohol. After fermentation is complete, the remaining sugar determines the wine's sweetness. Wines with high levels of residual sugar tend to be lower in alcohol unless they are fortified. Winemakers measure residual sugar as grams/liter (g/L). Very sweet wines weigh in at 45 g/L and above while dry wines have around 2.5 g/L or less. Other wine components such as acidity, temperature, tannins, and alcohol can all affect sweetness. For instance, acidity tempers sweetness, while alcohol increases it. Fine wine producers make sweet wines in one of two ways: They either dehydrate the grapes to reduce their water content and concentrate the sugars or boost the alcohol to intesify sweetness, halt sugar production, and produce fortified wines such as Port and Sherry. Sweet wines result as a combination of these methods and other factors. Botrytis: Also known as noble rot, botrytis cineria is a spore-like fungus that attack healthy grape clusters in the late autumn. It grows, feeding on the grape's sugars. Damp nights and warming days helps to dry the grapes and prevents total decomposition. The result yields wonderfully complex and flavorful sweet wines that can be found in Sauternes from Bordeaux, such as Chateau d'Yquem, Hungarian Tokaji, and Auslese or Beerenauslese from Germany's Rheingau region. 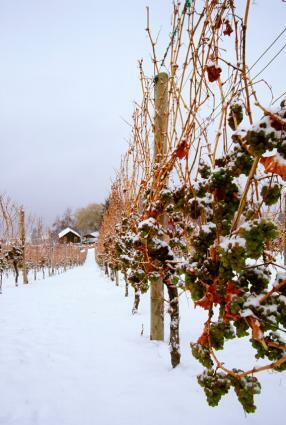 Eiswein: German for ice wine, these wines are made from grapes that naturally freeze on the vine. Winemakers pick the grapes while they are frozen, and press them to extract juices. This minimizes water content, yielding sweet, high-sugar, concentrated juice that becomes delicious, honeyed wine. Because the juices are so concentrated, Eiswein often produces a low yield, so expect prices on these treasures to be a little higher than other wines. Late Harvests: These wines don't make it quite as far as the first freeze. Instead, winemakers leave grapes on the vines in the late autumn. This allows the grapes to develop more sugars as they fully ripen. Winemakers then leave grape clusters to dry on the vines, or they pick them and dry them indoors. Dehydration concentrates sugars and juices, yielding more sweetness. Late Harvest wines are not usually as complex as Eiswein or those containing botrytis, but they are full of sticky honey, deep fruit flavors, and floral bouquets. Fortified Wines: Winemakers add neutral grape spirits, such as brandy, to the wines during fermentation. This arrests the process by killing sugar-consuming yeast and sets residual sugar at a high level of sweetness while boosting alcohol content. Examples of this process include Port from Portugal and Bantus, Muscat de St. Jean de Minerva, and Maury from France's Languedoc-Russell region. There are no hard and fast rules when pairing food with wines. However, a few guidelines can help. Salty foods contrast nicely with sweetness. When trying to match a sweet or dessert wine with dessert, it's best to match a sweet wine with a dessert that downplays the sugar. For example, try a honeyed Muscat Canelli together with an apple tart. Pair rich wines with rich foods. There are so many sweet wines from around the world to explore. If you've never had sweet wine before, a good place to start is your local wine shop. Most wine shop proprietors have a passion for their subject and can help you find a sweet wine that perfectly suits your palate.